I had the blessing of gathering with some brothers this morning at Starbucks and encourage each other…a little bit earlier than I would prefer (6am), but still a blessing. We are currently studying through Total Church by Steve Timmis and Tim Chester (I would highly recommend it!). This morning our discussion centered around the Gospel Word as the foundation for the Church and her mission. One thing stuck out to me…God’s Word is powerful! It was God’s Word that brought judgment to Israel when they strayed from His rule (the Prophets). It is God’s Word that will gather God’s people together in the last days (Isaiah 43:6-7). It is the Word made flesh that comes to bring God’s rule back to earth and gather His people. 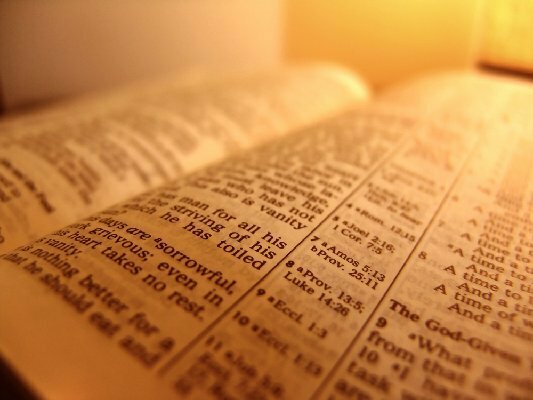 The Word made flesh comes and provides forgiveness and redemption (John 1). It is God’s Word that never returns void, always accomplishes what God wants it to accomplish, and is able to pierce the hardest hearts (Hebrews 4:12). And yet so often we think that God’s Word is not powerful enough to change our hearts, to the heart of the guy next to us in class, to change this world, or to change our church. Let’s trust in the power of God’s Word and let the lion loose!